Comedy has always played a major part in shaping the look and feel of American television. 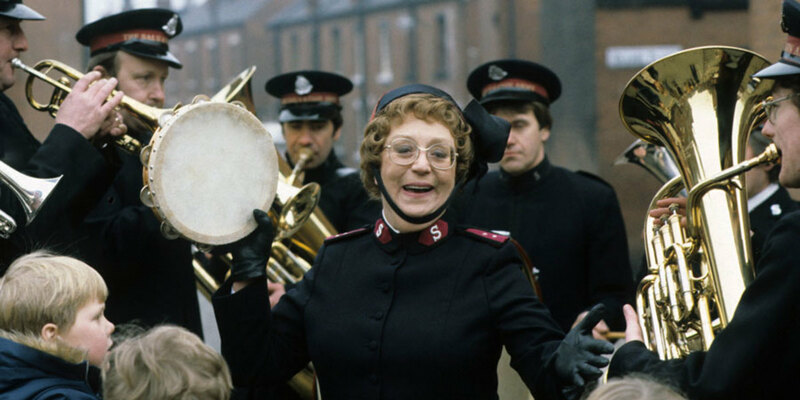 While it was always film's intention to be taken as seriously as possible (even when making comedy films) television has relished in its ability to be silly and carefree with its smaller format and shorter length. The sitcom (short for situation comedy) has been a staple on American TV for over half a century now but recently it has taken on some newer forms. Television comedy followed some basic rules before 2000: multi-camera setup, live studio audience, and the infamous laugh track. Notable exceptions include many '60s sitcoms which chose to shoot using a single camera set-up and a few deviations since then such as The Wonder Years. In the 2000s, the original format was abandoned all together and now anything is possible. Arrested Development is the story of a wealthy family who lost everything and the one son who has no choice but to keep them all together. The Bluth family may be one of the most polarizing and captivating families you will ever see on television. The family patriarch, George Bluth Sr., is a crooked land developer who gets arrested. His spoiled family must then learn to go without his income. His most competent son, Michael, is charged with keeping the family business, and the family itself, from falling apart but his task is made difficult by his narcissistic mother Lucille, his incompetent older brother GOB, his extremely odd younger brother Buster, his vain sister Lindsey, her husband Tobias (who may be a closeted homosexual), and his deceptive niece Maeby. The only family member who seems willing to cooperate with Michael is his son George Michael, who is an awkward teen with a crush on his cousin Maeby. The series has an unusual style, with a narrator who seems to be a part of the family himself. It uses flashbacks, variable styles of music, photographs, and text along with a documentary style that makes it unlike any sitcom seen on television before. Riddled with a sense of episodic continuity, countless inside jokes, and subtle remarks that become more apparent upon re-watching, the series was a bit too complex for most viewers when it first aired. It was canceled after just three seasons, despite winning high regards from critics and an Emmy for Outstanding Comedy Series. But Arrested Development retained a cult following even while off the air. Netflix produced a fourth season in 2013. You can stream and watch episodes of Arrested Development on Netflix. Created by one of the brilliant minds that gave us the legendary sitcom Seinfeld, Curb Your Enthusiasm shows us that no matter how bad a situation seems, it can always get worse. But sometimes that isn't a bad thing. Larry David writes and stars in this awkward masterpiece, playing a semi-fictionalized version of himself: A former TV showrunner who has a propensity for saying things that most only think in their heads but have enough sense not to mention out loud. David's complete lack of discretion and disregard for basic social norms are cringe-worthy and make this series a true mine of comedic gold. Although it's not a "show about nothing," it still manages to achieve some of the complexity and extreme attention to detail of David's shows from the 1990s. Curb Your Enthusiasm is available disc-only on Netflix. Quirky, clever, and armed with a seemingly never-ending reservoir of episodic satire, 30 Rock is a masterful display of comedic greatness. 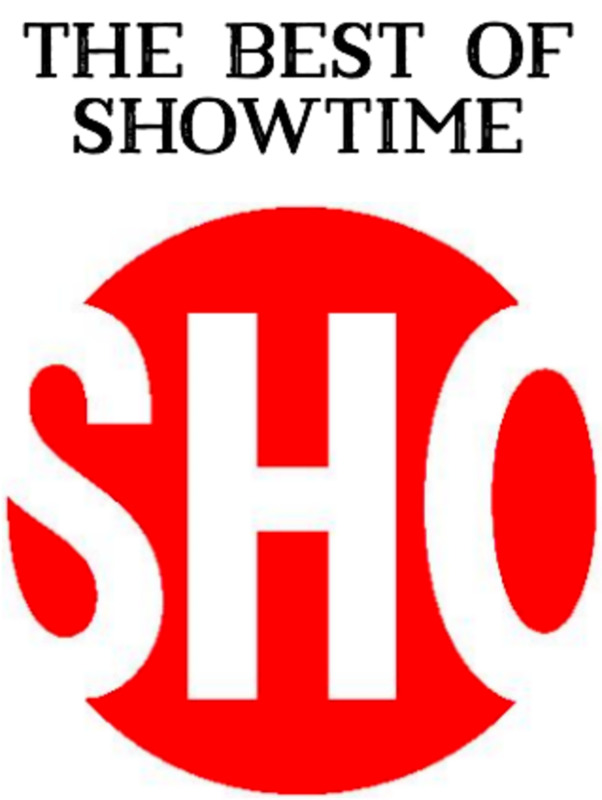 The show examines the stress of producing a live TV show by following unbalanced writer Liz Lemon (Tina Fey), conservative company boss Jack Donaghy (Alec Baldwin), and capricious and highly eccentric movie star Tracy Jordan (Tracy Morgan), along with a host of other odd and unusual characters. With its excellent comedic timing, stellar writing, well-paced plots, and perfectly placed jokes about its own network, the show defied many television conventions and featured memorable guest stars. 30 Rock was never big in the ratings, but was a critical darling with three consecutive Emmy awards for Outstanding Comedy Series. 30 Rock is available for streaming on Netflix. With probably one of the best casts ever assembled on TV, Modern Family is a brilliantly funny, fast-paced comedy that revolutionized television with its display of a highly unconventional family—actually, it's three interrelated households. There's hard-nosed Jay Pritchett who has married a much younger woman named Gloria. Her son Manny is an adult trapped in a boy's body. Then there's Jay's daughter Claire who is married to the wacky Phil Dunphy who tries as hard as he can to be the world's coolest dad. And finally there's Jay's son Mitchell, who is gay and married to Cameron, with whom he adopted a baby girl. The writing is sharp, the chemistry between the actors is priceless, and the comedic timing is beyond perfect. A future classic, this show has won four consecutive Emmy awards for Outstanding Comedy Series and is both a ratings and a cultural hit. The first season of Modern Family is available on YouTube on a per-episode or full-season fee basis. Malcolm in the Middle was one of the first sitcoms to abandon all tradition television comedy conventions. The show follows Malcolm, a boy genius, his overbearing mother, immature father, and four brothers. he series won Emmy awards for writing and popularized a format that later sitcoms would imitate. Malcolm in the Middle is available for streaming on Netflix. With its mockumentary style, constant talking to the camera, and lingering awkwardness, the American version of The Office lived up to its British counterpart with its large cast and never-ending workplace antics. Although it's hard to conceive just how any work got done at the Scranton branch of Dunder Mifflin paper company under the management of Michael Scott, viewers couldn't get enough of the show that used normality to connect with Americans. The show won an Emmy award for Outstanding Comedy Series and consistently earned the approval of critics and fans alike. The Office is available for streaming on Netflix. Louie defies not only the conventions of most comedy shows but also the conventions of television in general. In one of the truest examples of a postmodern TV show, Louie uses a loose structure of seemingly unrelated stories, weaving them together with some hilarious results. Through comedy, the show exhibits a wealth of insight on the human condition while staying steeped in satire, dark comedy, and a bit of the surreal from time to time. The show is the product of comedian Louis C.K., who created, writes, directs, and even edits the series while starring in it. 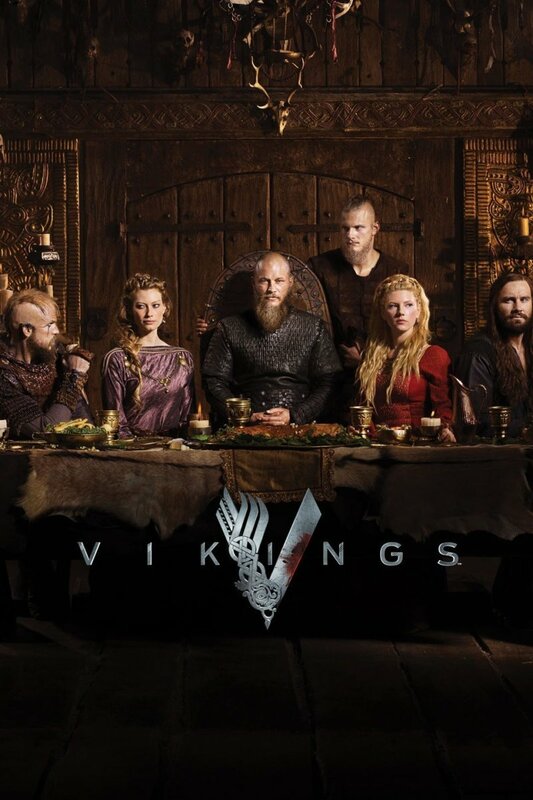 The show now has a cult following and is winning more and more critics over with its unique and exciting style. Episodes of Louie can be streamed and viewed on Amazon on a per-episode fee basis. Big Bang Theory introduced millions of viewers to complex physics concepts normally reserved for the Science Channel. The series is an unexpected success. Starting out with only modest ratings, the show about a group of physicists led by the obsessive, sometimes rude, but always ingenious Sheldon Cooper, the show developed a huge following by 2012. Big Bang Theory gives science lovers and self-proclaimed nerds a voice for the first time in primetime. 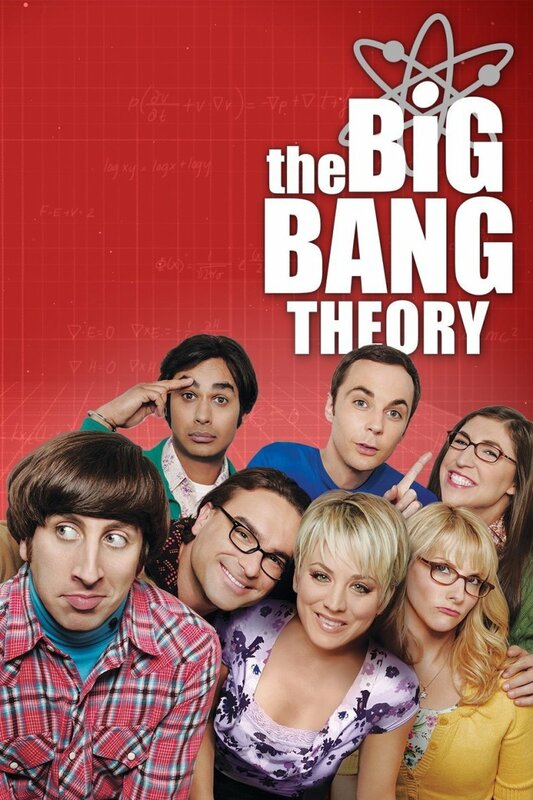 Big Bang Theory is available on DVD only on Netflix or for a fee on iTunes and Google Play. HIMYM was quite possibly the Friends of the 2000s. This fast-cutting, quick-paced series about how main character Ted Mosby (Josh Radnor) met the mother of his children, is actually about five friends in search of love and happiness in New York City. This romantic comedy is well-known for a slew of funny quotes, reoccurring themes, and inside jokes and has a strong following among fans and critics alike. The show also introduced us to one of the most legendary womanizers in TV history, Barney Stinson (Neil Patrick Harris), whose sexual antics and dating techniques have become an inspiration for bros all across the land. 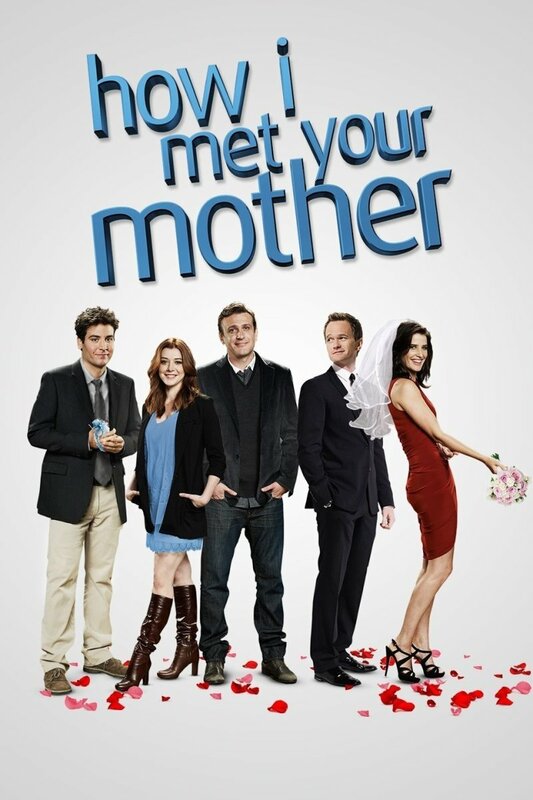 Episodes of How I Met Your Mother are available by streaming on Netflix. When you watch the episode above, be sure to click "full screen." Showtime has made full episodes of Weeds available online, but they frame the show in a fake theater so the actual viewer window is small. This dark comedy-drama series starring Mary-Louise Parker as a suburban mom who turns to selling marijuana after her husband suddenly dies, is a perfect example of an unconventional early 21st century comedy. With its witty, clever dialogue and insightful statements about life and death, Weeds amassed a cult-like following. The series was nominated for the 2009 Emmy for Outstanding Comedy Series. Although this show may be a bit too raw for some, it is one of few dark comedies that displays heart and yet has a sweetness to it without compromising its slightly off-color content. Full episodes of Weeds are available via YouTube. What is your favorite of these comedies? Did I miss your favorite comedy? I know there are so many and I wanted to keep this list a "top ten." Like all sites like this, itsyour own taste that matters to nobody but yourself. Like watching a football game and listening to two lame commentators telling what they would have done. This site goes one further like if one teams ahead by 63 points at halftime and you start hearing about copious facts about their pets and crap. Dont count this as a follower because i dont want to be the one that makes you hit the 75 mark. This is an opinion site but i think you guys think its fact because you watched or heard about a show at some point. Youd get more followers if you tried to explain the ins and outs of explaining why some turds are the color they are and include a top ten list of your most exciting colors and why.The only thing worse is the "critics" that take this crap seriously like the dolts that talk about the lighting and other earth shattering dialogue. Whose basement you set up in? Its a real world out there, you should get out and see it sometime. Theyve even built a freedom tower at the old trade center site. And of course this site has changed my life. If i vote and its in the majority do i get a cupie doll or somthing or just the rise in my self esteem for knowing that im amongst the 10 other people who punched the right keys. Try fake news it pays better. I think I would have put Curb first but so be it. HA! Great list!! big bang is the greatest sitcom i have ever watched. it mostly affected my every day routines. in the past when i started doing something, i would do it over and over, but now that i have watched BBT, i now dont care about one work, in order,,, i do my studies, i watch movies, i study comic on, i play games,,, all of them in specific orders. Where are the british shows??? where?? Yeah I would have definitely put It's Always Sunny in Philadelphia and Parks and Recreation on here, and I've seen every show on this list. Weeds... I wouldn't have even put it as an honorable mention, not for this category at least. Cool list! Modern Family is my favourite among them, Big Bang Theory too and Arrested Development. The Big Bang Theory is a pretty fun show. I got curious about it when I learned Johnny Galecki is one of the stars, and when an episode featured him flirting with a character played by Sara Gilbert. (David and Darlene were one of my favorite TV couples ever.) And even if it's just male fandom geekdom, it's nice to see fandom geekdom get some representation on TV. Great list of sitcoms in the past 15 years so far, while the rest are honorable mentions. 'How I met your mother' the 'Friends' of the 2000?????? A good list, you have missed a couple of big ones, It's Always Sunny in Philadelphia, The Thick of it, Black Books, Archer and Parks and Recreation. Either way I'm happy you included Arrested Development, it is by far the best comedy ever made. Great List! Big Bang Theory and Modern Family are my favorites but a show which keeps me laughing is Last Man Standing. this is really great! But what about orange is the new black???? My favorite sitcoms from that list would have to be The Office, HIMYM, and 30 Rock. Weeds, Big Bang Theory, and Arrested Development were good, but they weren't my favorite. The rest I haven't really seen or kept up with enough to actually enjoy. omg! how i met your mother number 1 for sure!!! It's Always Sunny in Philadelphia is by far the funniest for me, with only Arrested Development making me laugh almost as much. Modern Family is the best for me. Nice list...I agree with most of it as well. Curb would probably be at #1 for me, AD ever-so-slightly at #2. I'd also replace Weeds with The Office and rank it a bit higher. Thanks for the entertaining read! this is a [wonderful] article, louis c.k. style. 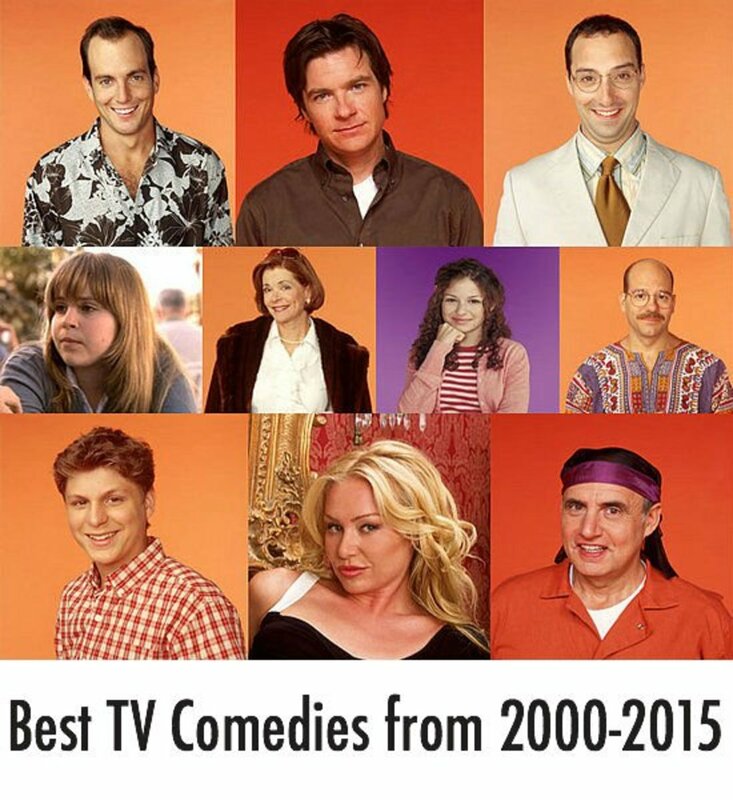 Great list, but where's Parks and Recreation, easily one of the best comedies ever. Good selection! I loved 30 Rock and Arrested Development! I am currently watching seasons of Louie and its really great as well! Good shows in principle but you couldn't get really attached to any of the characters. This is why I'd of ranked scrubs in the top 10 as the plot is brilliant and the characters are really likeable. I enjoyed the few episodes of Curb Your Enthusiasm. Hilarious! A good article. Great read. Fascinating piece to just sit back and get lost in the great writing. I voted up and all of the choices for you deserved it. Loved the lay-out and use of the colorful graphics. I wish you my best on Hubs and and in all of your writing pursuits. I cordially invite you to read one of my hubs and become one of my followers. I am going now to leave you some fan mail and so blessed to follow you. I am sorry but it was a flop compared to the original. The 1984 version only cost 8 million to make and grossed 80 million (source IMDb) but the success of a movie is not just about box office sales. You have to take into account the overseas box office, any marketing items (tee shirts, soundtracks etc..) how it helped or hinder the actors careers but most importantly how the audience remember the film. Take Indiana Jones trilogy. If it was made today would it have a huge following like it does now? The movie itself was pointless, the story would still happened if Indiana jones was in it or not. Because of the way the movie was made and marketed, the movie stays in peoples memory. Really pay attention to shows like family guy and the big bang theory. These shows reference the movie quite a bit and that's what makes a movie successful. Footloose wasn't a flop. Many people liked it. It cost 24 million to make and made 51.8 million in the US alone. HIMYM is kind of a rip off of Friends, but I immensely enjoy both. Maybe originality is a little overrated. There's only so many original ideas. There is one flaw in your opinion of the best shows. The majority of sitcoms are the same plot/characters. Take Big Bang Theory; the majority of the time it takes place inside Sheldon/Leonard's apartment. Penny is an actress wanna be and has a on again off again relationship with one of the main characters. Also she is not the brightest bulb in the bunch. Most of them hang out at the comic book store ran by a lonely clerk. Is this starting to sound familiar? Well it should it was a very popular sitcom from the 90's, that's right "Friends"
The movie studios are no different. 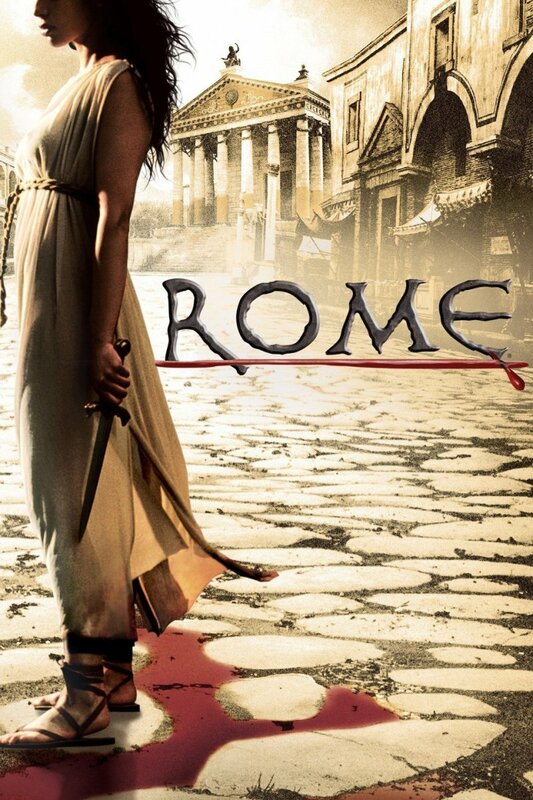 Why remake classic movies that were successful the first time around and remake them with all the new SFX and have the movie bomb at the box office. For example: Most people don't realize that they remade "Footloose" and the remake was a total flop. I have to admit I cannot stand 'The Big Bang Theory' so I've never managed to withstand a full episode. I'd give a shout for 'My Name is Earl' too, a great show. Interesting hub CoryBradford91, it's a pretty good list although there are a couple shows on there I have never actually seen. Not real sure when Seinfeld came out, but that one was pretty funny. Modern Family is hilarious, I probably would have ranked that one higher. Thumbs up on your hub. I was just thinking the other day how I don't watch sitcoms they way I used to. Maybe I'm getting older and don't relate anymore. Some of them are really funny but I don't get attached to them like I did with such comedies as "Fraiser," "Cheers," "Everybody Loves Raymond," "King of Queens," and the "The New Adventures of Old Christine," just to name a few. I guess culture and age dictate how different audiences relate to particular shows regarding humor. The most significant thing I noticed with your list is that most of these shows have lasted a very long time which means their audiences have the same attachments that I had to my favorites. Interesting. Thanks for the article.